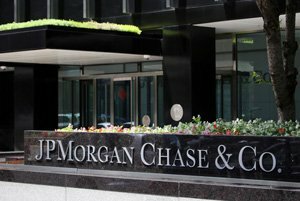 The Dow Jones today projected a slight gain on Friday morning after JPMorgan Chase & Co. (NYSE: JPM) set an all-time record for second quarter profitability. CEO Jamie Dimon reported an 18% increase in gross profits, beating analysts' estimates by 3%. Shares of JPM added nearly 1% after the company reported a record Q2 profit. The company also reported stronger results from its trading division, which likely benefited from recent market volatility. Its earnings per share of $2.29 was $0.07 above the average estimate of $2.22. Canada has passed the laws to legalize recreational marijuana. It will be the first major Western nation to take this leap and will open up a market that will eventually be worth more than $20 billion… Do you want a cut of that money? Now is the time to act. Get out in front of the green wave, and own this stock. It's legal. The recommendation is free. And you have the opportunity to become a "Marijuana Millionaire" with very little risk. Here's the pick. The Dow was flat this morning as major banks report earnings. Shares of JPMorgan Chase added nearly 1% after the company reported a record Q2 profit. The company also reported stronger results from its trading division, which likely benefited from recent market volatility. Its earnings per share of $2.29 was $0.07 above the average estimate of $2.22. China's trade surplus against the United States hit a new record in June. Many economists are concerned that this news could cause U.S. President Donald Trump to escalate his tariff battle with China. Earlier this week, President Trump threatened to hit another $200 billion in Chinese goods with a 10% tariff. Trump has demanded that China cut down on its surplus. One of the biggest issues for marijuana companies right now is setting up a bank account. Because cannabis is still illegal under federal law, banks are afraid of federal crackdowns. That means a marijuana dispensary can't deposit cash or take out a loan to help grow its business. However, that could soon change… Today, we take you into what could be one of the biggest breaks in the legal marijuana business. Check it out here. Shares of Citigroup Inc. (NYSE: C) were on the move after the investment bank reported earnings before the bell. The bank reported a stunning 16% jump in quarterly profits for the second quarter. The firm cited the recent tax law, increased fees, and better banking business in Mexico. The firm reported earnings per share of $1.63. That figure easily beat average expectations of $1.56 per share. It's worth noting that the bank's income tax provision declined by $351 million thanks to tax reform. This will likely ignite Democratic senators who are critical of Wall Street. Shares of BlackRock Inc. (NYSE: BLK) pushed higher Friday thanks to an upgrade from investment research firm Keefe, Bruyette & Woods Inc. The upgrade from "market perform" to "outperform" came after analysts said that the firm deserved a strong valuation due to its strength in the asset-management market. The firm said that BlackRock's recent stock sell-off provided a solid footing for new investors to snap up shares. Target Corp. (NYSE: TGT) is taking aim at its rival Amazon.com (Nasdaq: AMZN). The company announced that it will host a massive one-day sale on July 17. The sale is designed to overlap and compete against Amazon Prime Day. Target is promising free two-day shipping on deals over $35.00 and offering various discounts to its Target REDCard holders. Look for additional earnings reports Friday from Wells Fargo & Co. (NYSE: WFC), PNC Financial Services Group Inc. (NYSE: PNC), and First Republic Bank (NYSE: FRC).